What Does The Role Of 'Whisky Ambassador' Entail? "Ambassadors bring a more human element to a corporation, which can sometimes appear disconnected from the end consumer," explains Epsom. "The role requires being present wherever and whenever the brand is showcased and embodying its values." In brief, Epsom is the face of the brand. Photo: Courtesy of Jasper Epsom. What Personality Traits Improve Your Chances Of Being Hired? Social butterflies such as Epsom are more likely to blossom in the role. "Firstly, I applied because I knew that the job would involve social situations," he says. "I love being around others, so that was important to me." The attaché must also be able and willing to travel constantly. "The international role gives me the opportunity to travel to different countries on top of living and working in a completely new part of the world," he enthuses. Needless to say, a deep-seated love of whiskey is compulsory. "I love whisky!" he gushes. 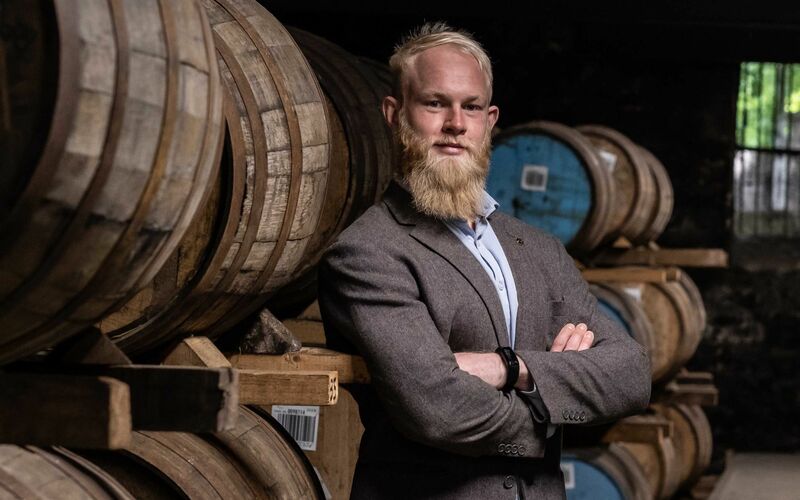 "So, when the opportunity to work for one of the best whiskies in the world presented itself, it was very obvious that I had to apply." Does Malaysia's Humidity Hamper His Grooming Habits? "To be honest, not much has changed," says Jasper good-humouredly. "I thought the heat here would be quite difficult to handle. Many people expected me to shave my beard, but I haven’t caved in yet... The beard lives on!" One of Jasper's central tasks is to further Pernod Ricard's mission of improving conviviality. "The main issue today is technology," he laments. "We find ourselves reaching for our smartphones the instant we find ourselves alone in a public place to create the appearance of being busy despite being surrounded by hundreds of potential 'real' interactions." His advice to us? "Instead of mindlessly scrolling through Instagram or Facebook's never-ending newsfeed, why not strike up a conversation with the neighboring table? You never know who you might meet or what you might learn." The Way of Whisky: A Journey Around Japanese Whisky by Dave Broom. Dave Broom sits high on Jasper's list of respected authors. "Pick up Whisky: The Manual," he suggests. "Or if you’re interested in Japanese whisky, acquire The Way of Whisky: A Journey Around Japanese Whisky." 1:00am: Wrap up the evening and head home.